Ready to take some time to restore and deepen your relationship with yourself and the natural world? Enjoy a retreat on our 5-acre rural property. The natural setting is relaxing, refreshing, and renewing, offering a beautiful place to walk, connect, think, write, unwind, create, rest, and re-imagine. Easy to get to, just 15 minutes north of Corvallis, Oregon. “Thank you so much for your hospitality and land. “Everything was comfortable and peaceful. Thank you so much for the wonderful time that we had at Willowspring. The mood created by the loving energies that you share is so restorative. It is a true retreat from the “hustle & bustle”. The first place I had been to in quite some time where I could actually get away from the mechanical sounds of civilization, like cars, airplanes & the like. 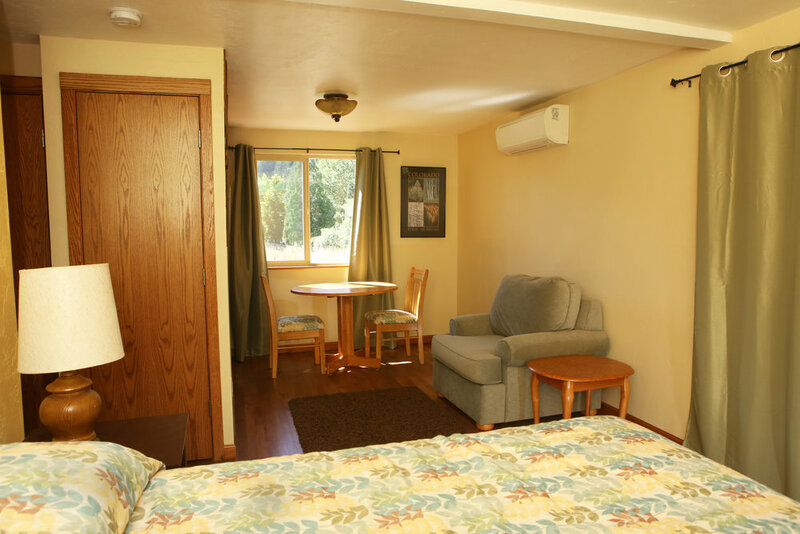 During your stay, you'll have a large, private room with an en suite bathroom and comfortable sitting area. The room is located off the entry hall on the ground floor. You are welcome to enjoy our great room, kitchen, mudroom/laundry, porch, and hot tub. The scene outside your room and the shared great room window is constantly changing. (See banner above to get a sense of the view.) You choose whether you want to venture out to explore or sit inside out of the elements. In the winter our wood stove creates a warm, cozy atmosphere. You'll have plenty of options to explore our diverse five acre property and the valley beyond. We have pathways you can wander to experience the meadow, forest areas, and marsh. Relax in one of several outdoor sitting areas, our hot tub, or by the fire. Stretch your legs by taking a hike into the forest directly across the road or walking through our rural neighborhood. Let us know what you'd like to do, and we'll point you in the right direction. Every season offers its own beauty and sense of peace. In the spring the meadows and forests are vibrant green, while abundant wildflowers bring a variety of colors. In the summer, the golden meadow provides a beautiful backdrop as the birds, dragonflies, and butterflies take to the air. In the fall, crisp temperatures bring colorful leaves of yellow and red. In the winter water flows through a network of creeks and ponds adding wonderful sounds at the waterfalls and rapids. Any time of year is a good time to enjoy watching the sunrise, the sunset, the star filled-nights, and the changing weather. As seen from our great room. Other common wildlife includes deer, turkeys, elk (in winter), blue heron. You may also hear coyote and owl. Want to explore further afield? 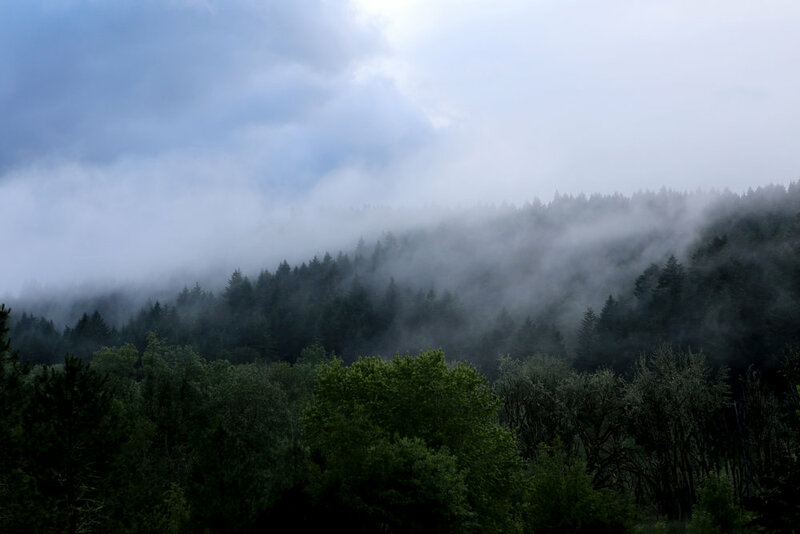 Take a hike in an amazing, nearby old-growth forest, spend time in town, enjoy local attractions, or take a day trip to the coast or nearby wineries.